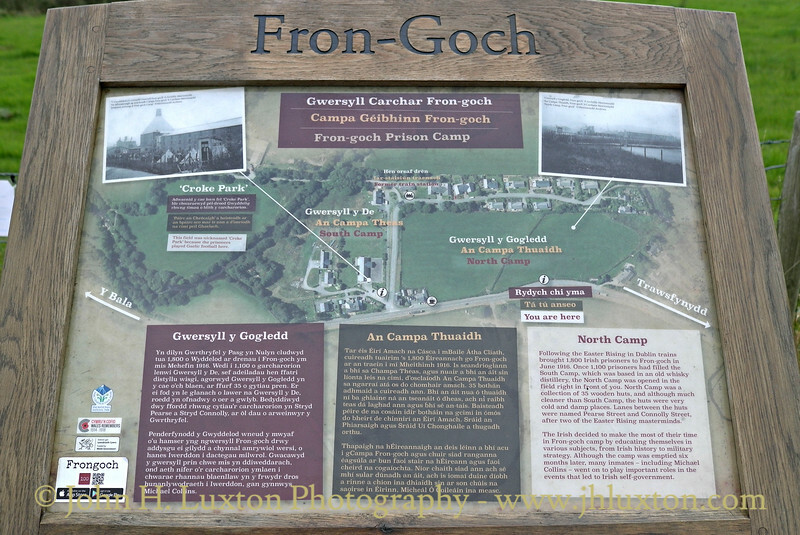 Frongoch Internment Camp at Frongoch in Merionethshire, Wales was a makeshift place of imprisonment during the First World War. 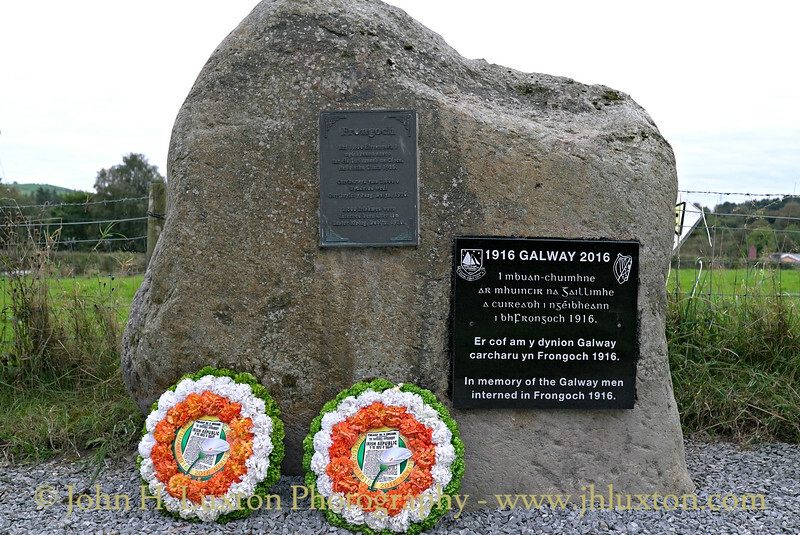 Until 1916 it housed German prisoners of war in an abandoned whisky distillery and crude huts, but in the wake of the 1916 Easter Rising in Dublin, Ireland, the German prisoners were moved and it was used as a place of internment for approximately 1,800 Irish prisoners of war, among them Michael Collins. 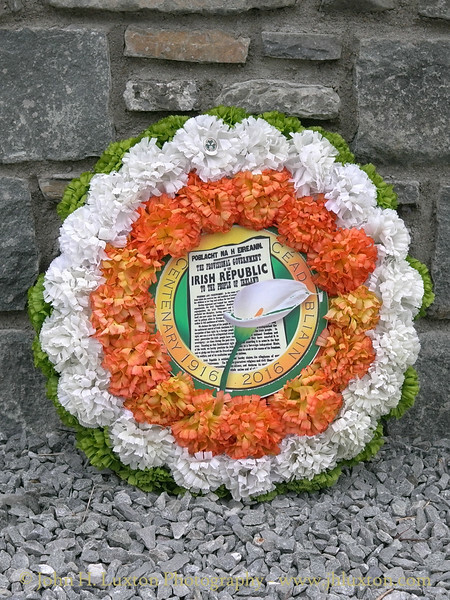 The camp became a fertile seeding ground for the spreading of the revolutionary gospel of the Irish rebels, with inspired organisers such as Michael Collins giving impromptu lessons in guerrilla tactics. 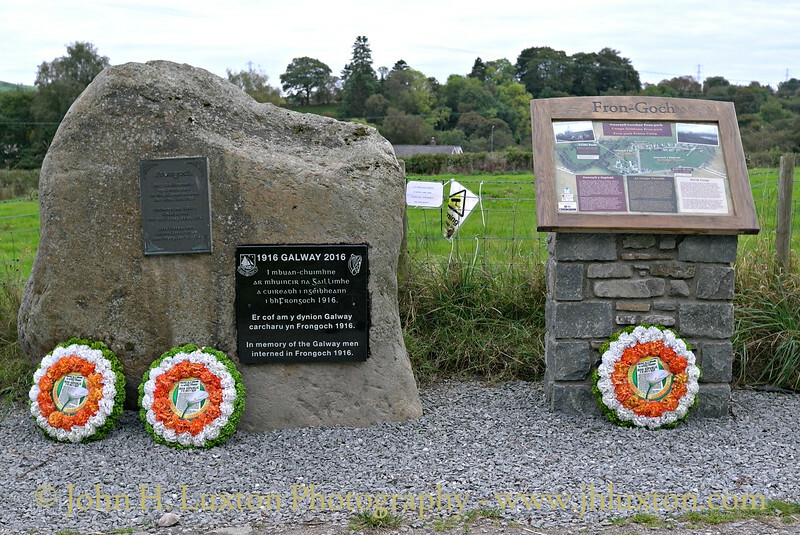 Later the camp became known as ollscoil na réabhlóide, the "University of Revolution". The camp was emptied in December 1916 when David Lloyd George replaced H. H. Asquith as Prime Minister. 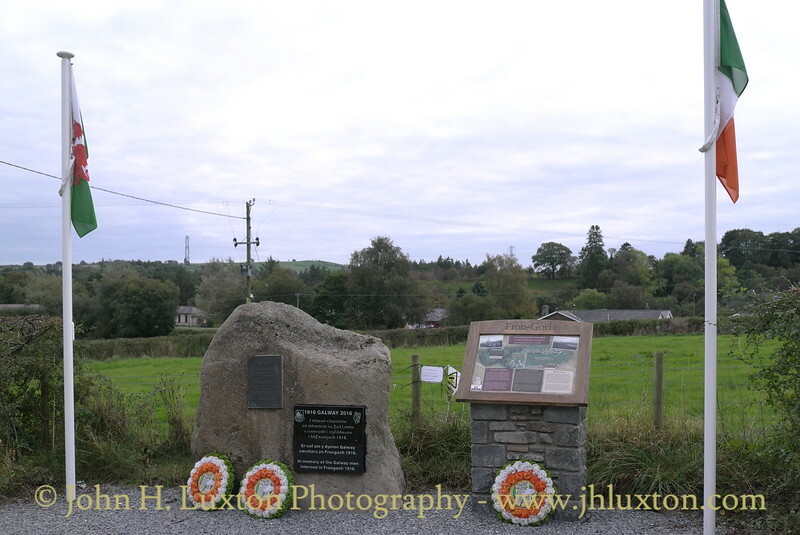 A plaque has existed at Frongoch beside the A4212 Bala to Trawfynydd Road for some time. 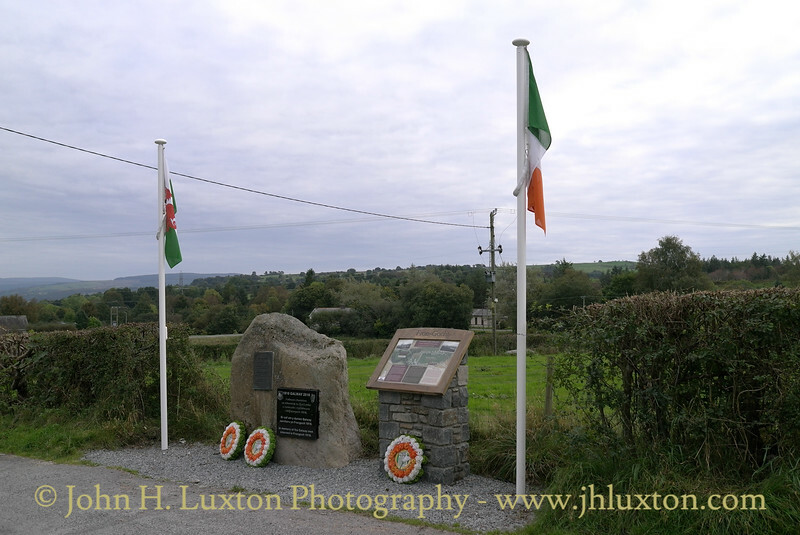 In 2016 the monument was enhanced, an interpretation board and flagpoles added from which the Welsh and Irish Flags are flown to commemorate the Centenary of The Easter Rising.